Local $1 diesel? NT bureaucrats couldn’t care less. An investigation by the Alice Springs News Online has revealed that the sulfur content in crude oil from Mereenie is very low, just 0.1%, making it potentially suitable for use in diesel engines without refining. Central Petroleum would not confirm this, saying “under our joint venture agreement we can only provide this information under confidentiality agreement”. But the information is contained in a report by the Department of Resources and Energy, saying “the sulfur content of oil and condensate alike is low (less than 0.1 per cent)”. (Bureau of Mineral Resources, Geology and Geophysics, Australian Petroleum Accumulations Report 1, Amadeus Basin, Central Australia 1986). At the current wellhead price of 45c on the field 250km west of Alice Springs, crude could be sold for well under $1 a litre in Alice Springs, including the 30c Federal fuel tax, and transport. Yet Territory bureaucrats contacted by the News are refusing to act on this information, and the crude is sent on a 15,000 km round trip to Singapore for refining before being sold here as diesel at $1.29. • Unrefined Mereenie crude was used by local truckies some 12 years ago. • The oil field produces an estimated 60% of the demand for diesel in Alice Springs. • A lower diesel price would not only benefit locals, it would significantly stimulate self-drive tourism. • It makes no sense to apply one-size-fits-all pollution measures to cities choked with traffic and Central Australia, one of the world’s most sparsely populated regions. • Until December 2002 the uniform standard was 0.05% of sulfur in diesel (half of what the Mereenie crude contains). In January 2009 it was reduced to 0.001%. • Central Petroleum, which mines the crude, is happy to sell it to anyone. • The Commonwealth Environment Minister, currently Greg Hunt, has the power to grant exemptions to rules for the use of fuels, for example, in Central Australia. • A strong argument could be made for such an exemption if it could be demonstrated that national air quality standards for sulfur dioxide would not be exceeded in Central Australia by limited use of unrefined Mereenie crude. • We asked the NT public service to calculate, expressed in engine hours, what level of use of unrefined Mereenie crude would exceed the air quality standards (see footnote). • The request was rejected, and we were barred by a media official from talking to NT public servants directly about these issues. • The NT Government does have a role in formulating the National Environment and Protection Measure for Ambient Air Quality and that “jurisdictions put strategies in place to reduce emissions and to achieve the standards”. All the while, the NT Government is trying convince the public that it will have a direct benefit from proposed “gas to liquid” production of fracked gas converted to diesel. It is clear the Northern Territory Environment Protection Authority (EPA) is dealing with sulfur dioxide emissions – its website shows that – and surely it has staff qualified to assist in making a case to Canberra for the benefit of the public they are meant to be serving. The EPA website says: “Sulfur dioxide in the atmosphere arises from both natural and human activities. Natural processes which release sulfur compounds include decomposition and combustion of organic matter; spray from the sea; and volcanic eruptions. “The main human activities producing sulfur dioxide are the smelting of mineral ores containing sulfur and the combustion of fossil fuels. “Sulfur dioxide dissolves in water to form sulfuric acid. This is a corrosive substance that damages materials and the tissue of plants and animals. All this, one would imagine, would not occur at unacceptable levels if the mandated limits are not exceeded. We are inviting comment from Chief Minister Adam Giles, and candidates for Central Australia in the NT Elections on August 27 (including Bess Price, Robyn Lambley, Steve Brown, Dale Wakefield and Scott McConnell) as well as 1Territory and the Greens. The Sulfur dioxide limits (0.2 parts per million averaged over a one hour period, 0.08 ppm averaged over a 24 hour period, 0.02 ppm averaged over a one year period) would be exceeded in Alice Springs if X cars drove here. The cars have 6-cylinder, 4000cc diesel engines. They are using unrefined Mereenie crude as their fuel. 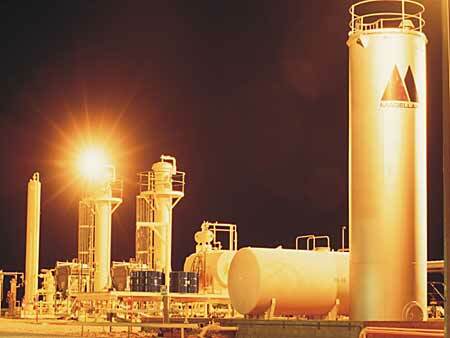 The sulfur content of Mereenie crude (oil and condensate alike) is no more than 0.1 per cent. We were using Mereenie crude in trucks in 1983 straight out of the ground at Mereenie field. Ed: Its the kind of issue I would have thought the owners of Central Petroleum would have be pushing themselves if it’s a viable option, after all a market is a market. I suspect however that there is a little more to it. I remember that there were some issues around using the crude straight from the well. I believe that’s why the mini refinery at Brewer Estate was established. However if I’m elected to government I am more than happy to pursue the matter further, given that we want and encourage Alice Springs based industry. Obviously cheap fuel would also very good for our pockets and our economy as a whole, so if there is an opening there and I can assist I most certainly will. I also agree that the minuscule levels of sulphur dioxide shouldn’t be of too much concern, it maybe something than can be given special circumstances status under the “Develop the North” policy.